Dolly Sivani Cherukuri – She shoots a bow like a pro !! There is hardly anything which can stop us from achieving our goal, if we have our sights set on our target. 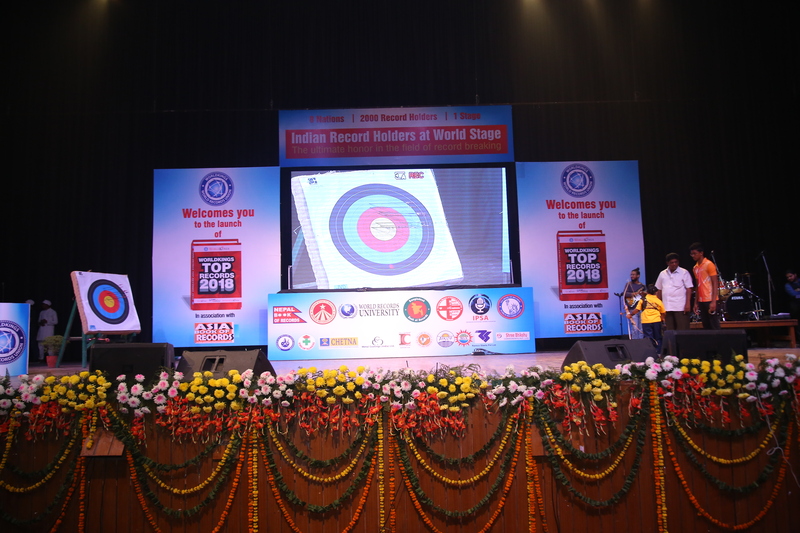 Understanding and depicting this, is no one better than Cherukuri Dolly Shivani, a girl of a very young age, who having mastered the art, skill of Archery showed her antics related to this on the stage during Indian Record Holders At World Stage 2017 gala, which was held at Siri Fort Auditorium, New Delhi on 12 November, 2017, which witnessed large presence of delegates from Vietnam, Indian guests, dignitaries officials of India Book of Records and Asia Book of Records also their staffs, considering the event which happened on a Sunday. 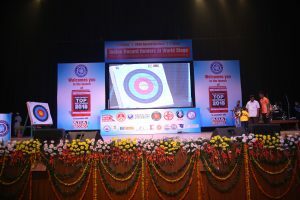 Comments for YOUNG ARCHER AT INDIAN RECORD HOLDERS AT WORLD STAGE are now closed.